This week marks 20 years since the beginning of the Rwandan genocide in which at least 800 000 people were killed. It will also signal the beginning of Love Radio: Episodes of Love & Hate, a new transmedia documentary by Anoek Steketee and Eefje Blankevoort that aims to explore the subject of reconciliation in post-genocide Rwanda. Consisting of a web documentary, mobile tap stories for smartphone users and an exhibition in Amsterdam’s FOAM Museum (from July 11 July to September 7), Love Radio straddles the thin line between fact and fiction. 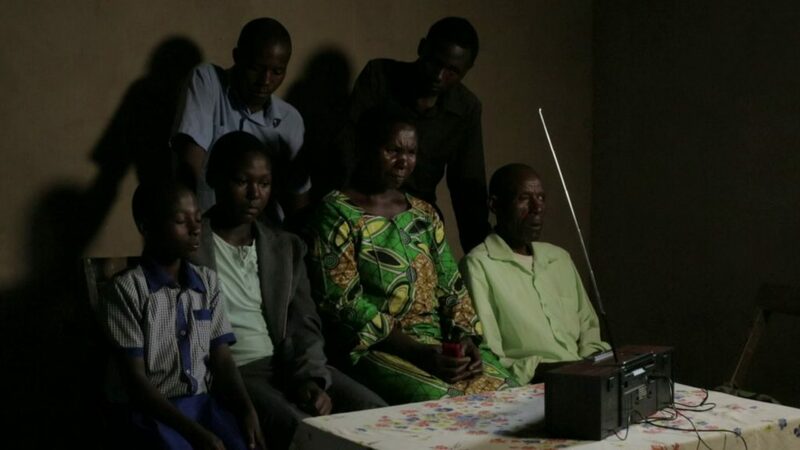 At first glance it tells a linear, almost fairy-tale narrative, based around the radio soap Musekeweya (New Dawn). But a closer look reveals the complex reality. While in the soap happy endings predominate, reconciliation in real life is rather more intransigent. After the gruesome killings, how can perpetrators and victims live with and love each other? Love Radio tells the story of the soap’s creators, its actors and audience through film, photography and text. It is a story of the impact of mass media and the thin line between fact and fiction, violence and reconciliation, guilt and innocence. Dynamic Africa is a curated multimedia blog focused on all facets of African cultures, African history, and the lives and experiences of Africans on the continent and in the diaspora – past and present. Visit the blog and connect with the curator, Funke Makinwa, on Twitter.